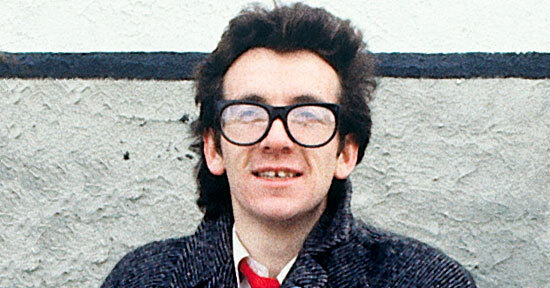 Say what you will about Elvis Costello—he’s certainly got a great sense of timing. When the young Costello first hit the airwaves in 1977, he was just in time to be typecast as a punk rocker with a wary sneer and some Chuck Berry riffs. But the label never quite stuck, and Costello has been a new waver, a classical composer and a blue-eyed soul singer whenever the mood has struck him. With a career spanning more than three decades, he’s resolutely refused to write the same song twice. He’s sung with the Attractions, the Imposters, been a member of the Costello Show and collaborated with Paul McCartney and Burt Bacharach. Not too shabby for the young man once stuck working a day job in the Arden cosmetics “vanity factory.” Despite a gift for pop songwriting that rivals the Beatles, Bowie or the Ramones, there are still some numbers Costello should have reconsidered—and others that should have been huge. 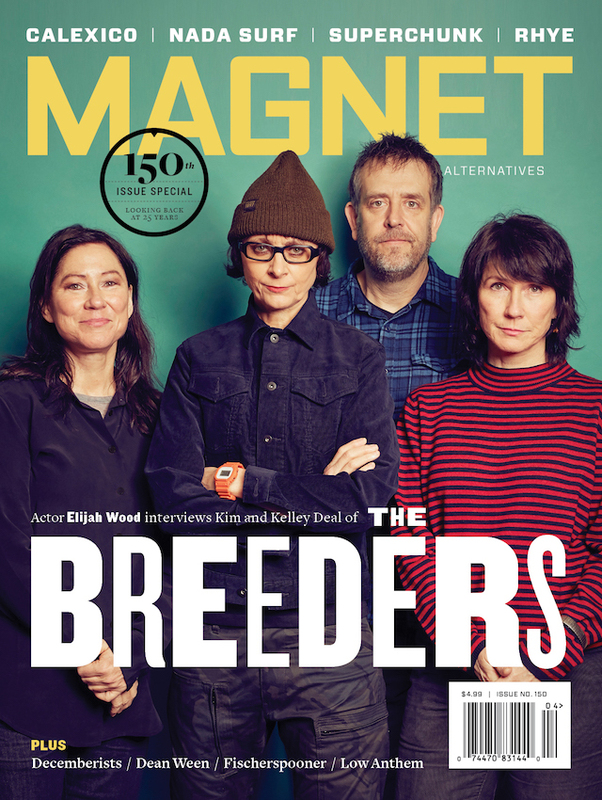 On the eve of the release of the new Secret, Profane & Sugarcane, MAGNET’s Emily Tartanella picks the five most overrated and the five most underrated Costello songs. Here it is, the 32-year-old elephant in the room. “Alison” is not terrible by any means, but it’s somehow become Costello’s signature track. It’s a truly vicious hate song masquerading as a love song, and while some would call that clever, Costello has been smarter and wittier on dozens of other songs. Perhaps “Alison” stands out because it feels so out of character with the rest of Costello’s career, musically and lyrically, but that doesn’t make it deserving of its praise. Somehow “Alison” remains the only number off of My Aim Is True to have survived into the new millennium, and that’s just unfathomable. With tracks as sharp as “Miracle Man” and “Less Than Zero,” what’s the otherwise average “Alison” doing getting all the airplay? If the overproduction doesn’t kill you, then that fadeout will. “I just don’t know where to begin”? This is one track Costello doesn’t know how to end. Somehow, this otherwise tedious song got painted over as a glossy pop confection and found its way onto every Costello best-of collection. And lyrically, it’s way below par for the normally sharp songwriter: “Love just doesn’t wait forever/It’s now or never” and groan-inducing pun “They keep you hanging on/Until you’re well hung.” The fact that “Accidents Will Happen” was allowed to open the nearly flawless Armed Forces is proof that, if nothing else, the song’s title is correct. By 1982, Costello had racked up a series of hits that he has yet to replicate, from the bar-band rock of My Aim Is True to the political jibes of Armed Forces, not the mention the nu-soul of 1980’s Get Happy!! and the vicious punk of 1978’s This Year’s Model. But then came 1981’s Trust and Almost Blue, and then Imperial Bedroom. The critics went wild because it was a grown-up album from a snotty little rocker, and that’s exactly the problem. Imperial Bedroom was the first in a long series of “mature” albums that critics might have lauded but the rest of the world treated with deliberate indifference. While Imperial Bedroom is the best of the bunch (it’s certainly leagues above 1993’s The Juliet Letters or 1991’s Mighty Like A Rose), it was also the first to see Costello reaching beyond his grasp. Like most objects on this list, it’s not that Imperial Bedroom is badly written or recorded; it’s that it represents a downward spiral that took Costello from pop’s chameleon to its dour grandfather. I started the overrated list with “Alison,” but before there’s panic in the streets, let me suggest an alternative: the beautiful, near-perfect “Party Girl.” It’s everything “Alison” was meant to be (a mournful number about a girl who’s too wrapped up in her own downfall to notice that you’ve written her a song), and it’s got a great tune, a propulsive melody and enough clever lyricism to keep even the most literate fans satisfied. Most important, it’s sincere without being sentimental, scorned but still hopeful. Costello was just 25 when he wrote ”Party Girl,” and he sounds more world-weary than Tom Waits at a child’s birthday party. While wordplay-laden tracks such as “Watching The Detectives” and “New Amsterdam” are always good fun, a song like this brings out one often forgotten attribute: Costello’s powerful, even beautiful, voice. This acoustic number, originally written by Drew Baker and Dani McCormick and found on the 2002 reissue of 1986’s Blood & Chocolate, far surpasses the version on 1995’s Kojak Variety for simple power and raw emotion. Costello might be an acclaimed songwriter, but his ability as a singer sometimes gets overlooked. While many fans have (justifiably) dismissed Costello’s more recent work as pretentious or hackneyed, there are still gems to be found. Of course, both jazz and classical music are relevant, even essential, but Costello’s approach is to appropriate new genres and then turn on the music that he once believed in so intently. (You will never be cooler or smarter than rock, Elvis.) But on the critically neglected The Delivery Man, Costello delivers “The Name Of This Thing Is Not Love,” a blistering number good enough to make us forgive him for 2003’s North. And that’s saying something. Another recent song that proves Costello still has some bite left, “45” takes us from World War II to the birth of rock to the modern age, never once dipping into pretension or cliché. “45” has all the necessary ingredients for a classic Costello song: Take one scorching melody, add some lyrical cleverness and sauté with an old-school snarl. On a break-up song whose stakes are high, Costello delivers the line “There’s a stack of shellac and vinyl/Which is yours now and which is mine?” in a way that’s both brutal and thoughtful. We always did like him more when he was cruel. “Rocking Horse Road” is a torch song for those who’ve given up on torch songs. It’s not that we don’t want Costello to grow up; we just don’t want him to grow soft. What makes “Rocking Horse Road” so powerful is that Costello gives it everything he’s got, at a time when many fans had already written him off. Though Brutal Youth might have brought Costello and the Attractions back together, it wasn’t so much a return-to-form as a kiss-off. If Costello was going to make a straightforward rock record, it was going to be on his own terms. And “Rocking Horse Road” is a perfect example: it’s a little strange, a little sad, and while Brutal Youth might have spawned moderate hit “13 Steps Lead Down” and delicate jazz number “Favorite Hour,” it’s this melancholy, unforgettable track that remains after the album’s end.